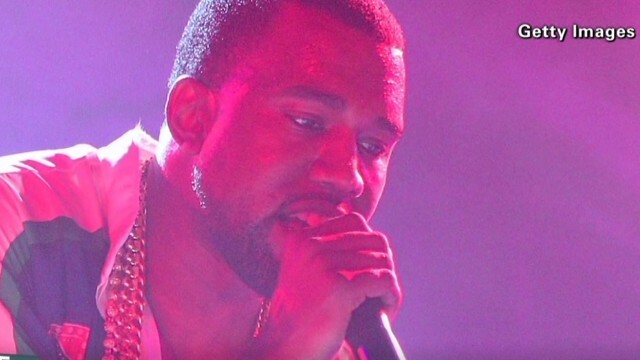 Is Kanye West's braggadocio blasphemy or just showmanship? (CNN) Kanye West wants his listeners to know that he is “a close high” to God. His latest album, “Yeezus,” released Tuesday, offered several controversial track titles, including “New Slaves,” “Black Skinhead” and the most audacious, “I Am a God.” The track’s credit says “featuring God,” as if He’s just another artist – a Rick Ross or Pharrell Williams – stepping into the studio to spit a couple of verses. So, does Kanye really think he's God's match? KANYE IS NO GOD.....JUST ANOTHER PLAYER WITH ILLIGITEMATE CHILDREN HE PROBABLY WON'T HELP RAISE! I bet your brain is a riot...I wonder what other wierd stuff is in there. GOD is absolutely Real, and powerfully reigns. If your fairy needs help by promoting a web site...........is it really that strong ? The rest, everything, was all made by the God of Abraham, Isaac, and Jacob, as given in the bible. And of course, Jesus died for our sins, and rose again the third day, saving those that believe him and repent of their sins. Hey FS.....................just like Adam and his bone............fake. Hey GOOD NEWS..................NOT GOOD FOR CHILDREN !!! The dude's a performer. That's about as high as a janitor. You want people who are close to god? Check the people that are helping those who cannot help themselves.